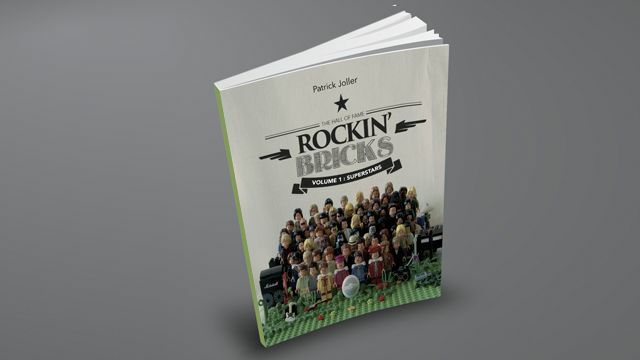 Rockin' Bricks is a series of books about popular music, featuring the greatest artists as LEGO® minifigures. The Volume 1 - Superstars, is a new genre of music encyclopaedia covering the most loved and best selling stars from the 50’s to date. It will please both music fans wanting to see their favorite artists in an unusual environment, and LEGO® aficionados of all ages allowing them to flip through rock & pop legends represented in a state-of-the art form and discover recommended albums and songs.